Applications design for extremely quote, rugged, high performs, 96TB-120TB and 12 hot-swap drives high-performance single to dual 16Gb fiber, 10Gbit, or 12Gb SAS channel hardware RAID controller on desktop space with Operating Systems support LINUX, MS WIN, OS X and VMWARE, KVM, Xen for storage. • LED drive states and accesses options over the web. The Nomadic 1U 12x array provides a compact and affordable, storage solution that's simple to deploy and easy to manage. Designed to support growing storage requirements, the high-density array scales to meet your business needs, and its building-block approach reduces costs and simplifies future upgrades to enterprise SAN, NAS or DAS solution. 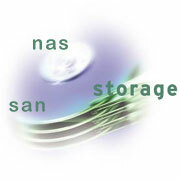 The integrated solution that delivers both Fibre, 10Gigabit iSCSI or 12Gbit SAS interface options to same storage with simple management tools, without the need for proprietary SAN licence requirement, all SAN/DAS volumes are also shared over iSCSI 4xgigabit or 10 gigabit network as well as high speed SAS I/O option to maximize the storage speed. As you build your storage requirement you can simply add 120TB modules as needed to grow the storage via eSAS expansion or, Fibre,10Gigabit, or Gigabit. Finally a product that doesn't require a refrigeration to keep it cool, with complete environment factor of low power, and light material, it ideal design to building block to expand easily with enormous bandwidth incrementally, in a each 6ft rack your able to host over 5,000TB (5.0PB), the Nomadic 1U 12x. with the 4480c Controller Technology which offer the expansion ports your able to expand the storage requirement to a enterprise level so you can buy the storage capacity you need today and be able to quickly and non-disruptively add mixed drive capacity as you grow. The built-in controllers browser-based management tool simplifies the management of your SAN, NAS or DAS and is an ideal way to expand your storage needs. With dual 16GB/s connectivity up to four 8GB/s, or dual 12GB/s SAS with exceptional data availability, reliability, and the flexibility you need as your storage grows from 120TB in single 1U (1.75" height) rack space, the Nomadic 1U 12x offers an elite storage solution at an entry-level price, with combinaton of host interface Fiber, iSCSI and SAS. The array is easy to deploy, with flexible configuration and management options, online capacity expansion, and remote monitoring. 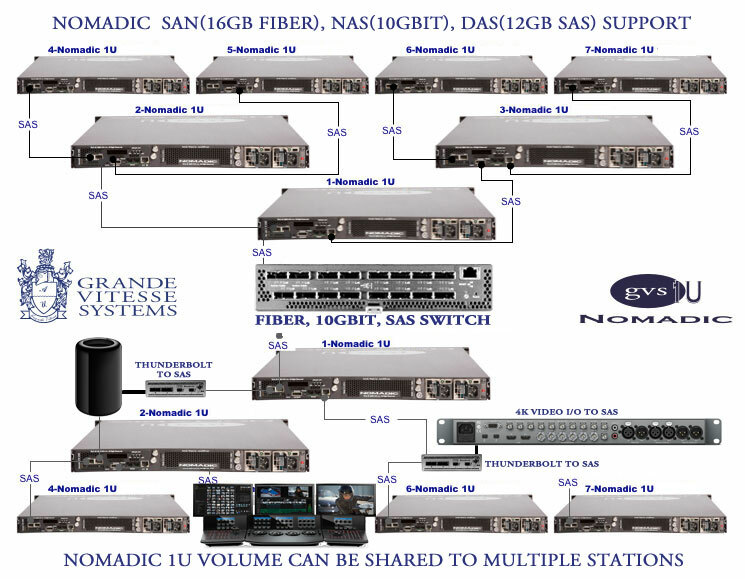 A single GUI network interface provides common storage management across all arrays in the Nomadic 1U 12x Family, reducing the number of elements you need to manage. In data intensive environments, increasing the capacity per disc drive lowers ownership costs by deploying fewer systems that use less cubic feet of space requiring less infrastructure such as cabinets, HBAs, and less wattage of power. The Nomadic 1U 12x uses high-performance 3.5" drive capacity with SATA/SAS drive bay. Users who have the need for extreme speed.